The Dawn ‘Inspired by Music’ takes center stage at Villa d’Este. 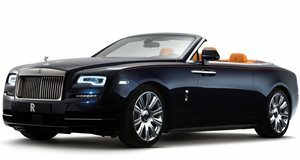 Rolls-Royce pride themselves in building some of the and the is its 4-seater luxury convertible offering. The ‘Inspired by Music’ was made the center of a light-hearted music video recently. It combines the mechanical and electrical tones of the car with deconstructed music to create a unique track that highlights this model’s musical focus. The piece was recorded in Rolls-Royce’s special anechoic chamber, more commonly used in the build process to detect and eliminate any unwanted sounds. Such attention to the tiny details makes each Rolls-Royce a very special vehicle and has resulted in models like the Phantom which is the world’s most silent car. In this video however, the hyper-sensitive microphone was used to record the sounds and tones of the such as the movement of its windscreen wipers and the operation of its doors and windows. These and other sounds were then mixed together with music to create a unique track. The point of this elaborate mix was to highlight the company’s top-tier bespoke audio system, one, that according to Rolls-Royce, offers an unrivaled aural experience. The follows in the footsteps of its stablemate, the Wraith Inspired by Music luxury coupe. Even the Lyrical Copper exterior paint finish seen on the car is meant to hint at the use of copper found in only the very best audio systems. The Rolls-Royce ‘Inspired by Music’ was presented to the public at this year’s Concorso D’Eleganza held on the shores of Lake Como in Italy.